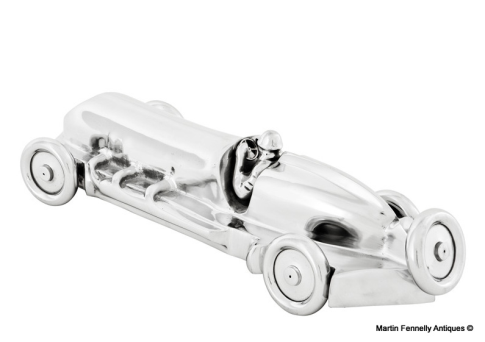 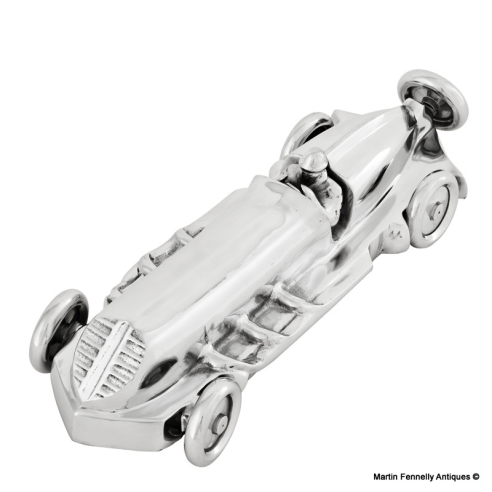 Inspired by Art Deco design, this 1930's Car Racing Desk Accessory is crafted from polished aluminium and its vintage style would make a thoughtful gift for all automobile aficionados. 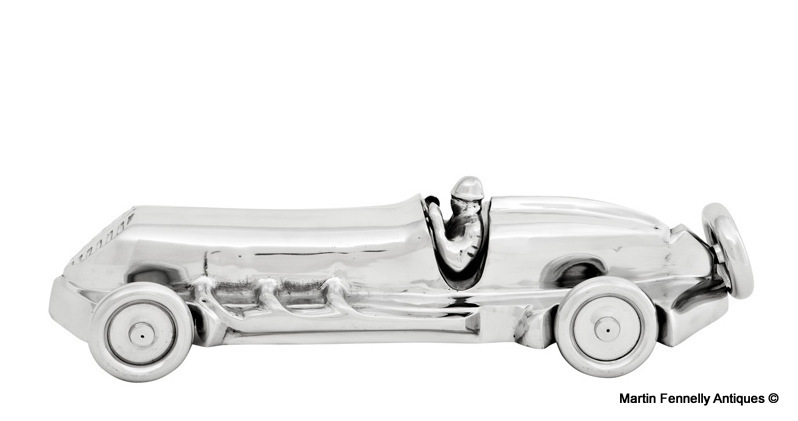 Engraved detailing on the car body and racing driver are reminiscent of stylised, classic car design features from the era. 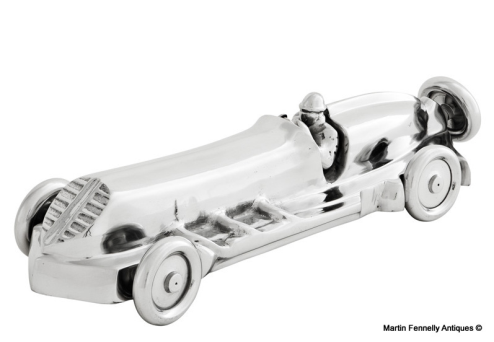 Add a fun element to a home office or study with this superb accessory, transporting you straight to the race circuit !